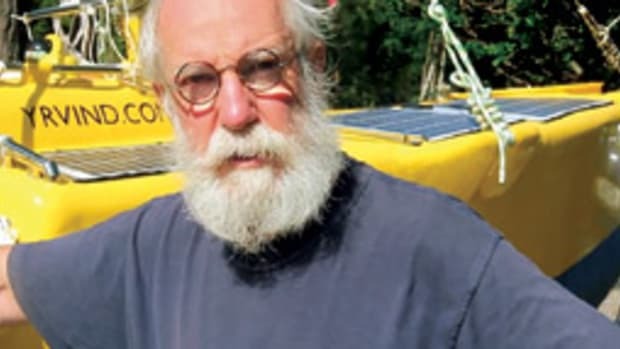 Philip C. Bolger, known for his inventive and freethinking boat designs and fondness for self-built “everyman’s” boats, died in May. 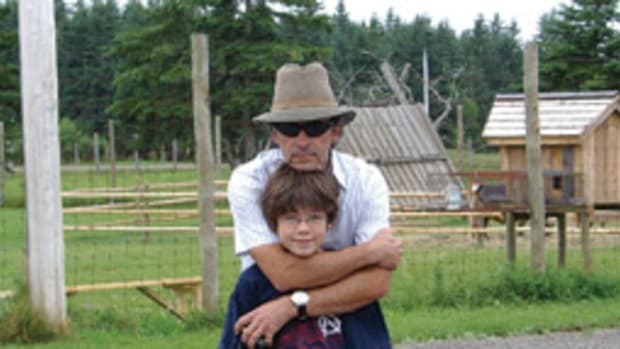 He was 81.
inflicted .45-caliber gunshot wound to the head, according to a letter Altenburger wrote to a discussion group on Yahoo! dedicated to Bolger designs and philosophy. Though in good physical health, he had experienced “intermittent but mounting episodes of apparent cognitive decline, ranging from near-funny to seriously disturbing,” Altenburger wrote. This affected his work and led to conversations in which “he made amply clear his insistence on controlling his final fate,” she says. 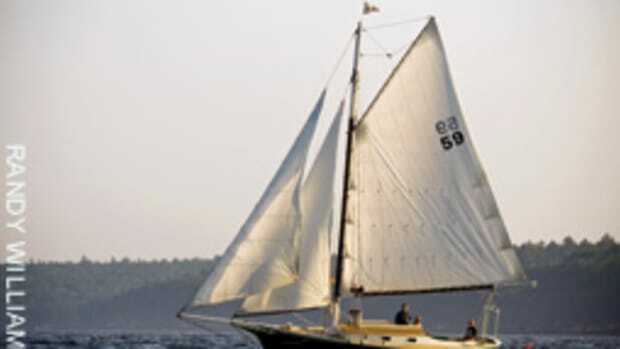 A prolific and versatile designer, Bolger designed nearly 700 boats in a 57-year career — from kayaks and dinghies to cruising power- and sailboats, shoal-draft gunkholers and Rose, a 179-foot replica of an 18th century Royal Navy frigate. Rose was the HMS Surprise in the film “Master and Commander: The Far Side of the World,” starring Russell Crowe, and is now at the San Diego Maritime Museum. 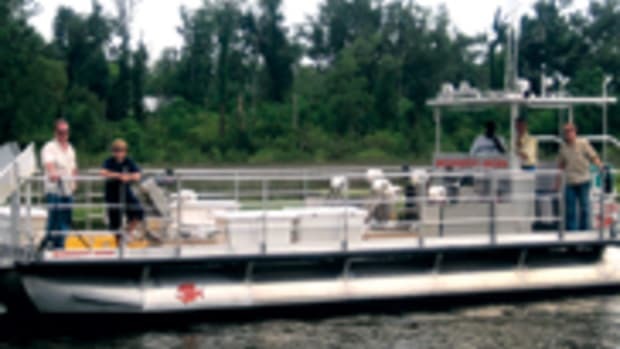 Though his contribution was simple, functional, innovative designs rather than boats with mass-market appeal, Bolger “was without a doubt one of the most prolific and influential designers of the 20th century,” says naval architect David Gerr, director of the Westlawn Institute of Marine Technology in Mystic, Conn. “Phil could do a perfectly mainstream boat, but that’s not what he wanted to do,” says Gerr. Working with Harold “Dynamite” Payson and Capt. 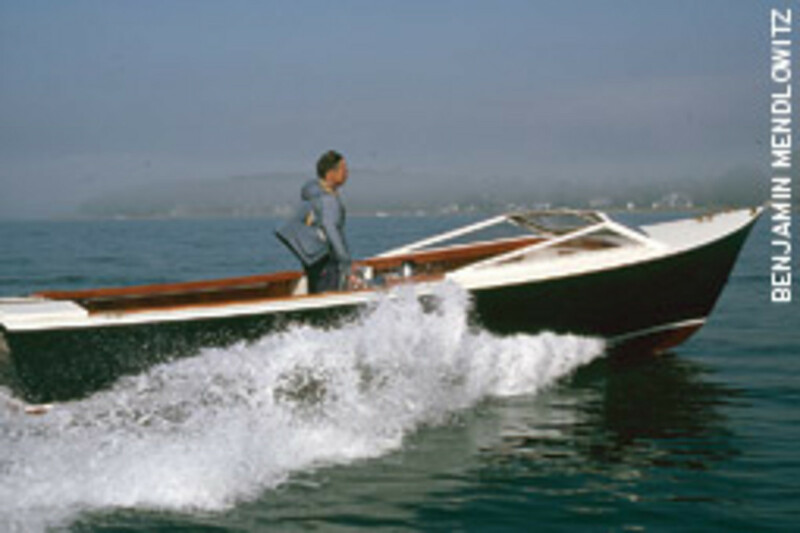 Jim Orrell, who sold plans to do-it-yourselfers, Bolger became a passionate believer in “instant boats” — low-cost, seaworthy, easy-to-build plywood designs requiring no lofting or jigs. 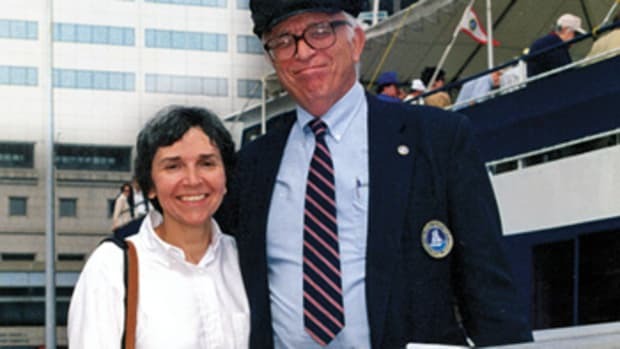 He was a master designer of shoal-draft sharpie sailboats steadied by a centerboard or leeboards and driven by simple, unstayed, low-aspect rigs. 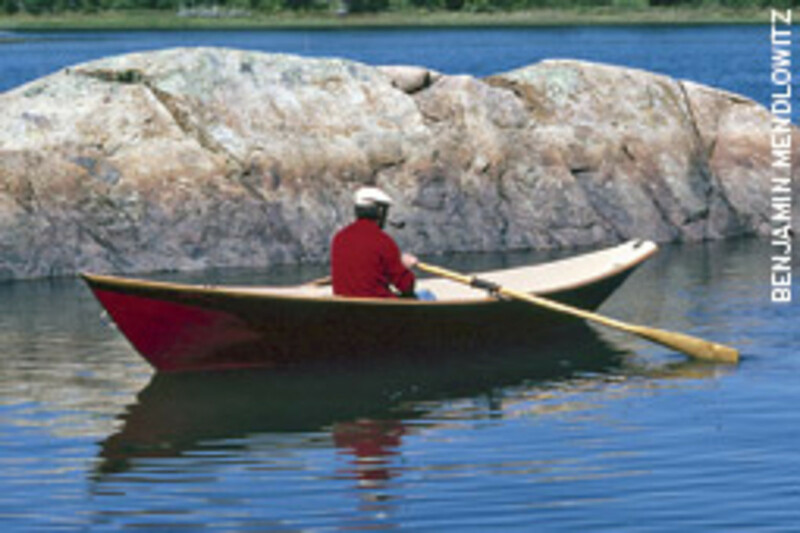 His Tortoise, a 6-foot, 5-inch dinghy, looks like a short, fat sled, and his 8-by-4-foot Brick like a box with a sail. He also designed a folding schooner, a 30-foot two-master with hinges at midpoint, where the front half of the hull folds back over and on the aft hull for ease of storage and transport. 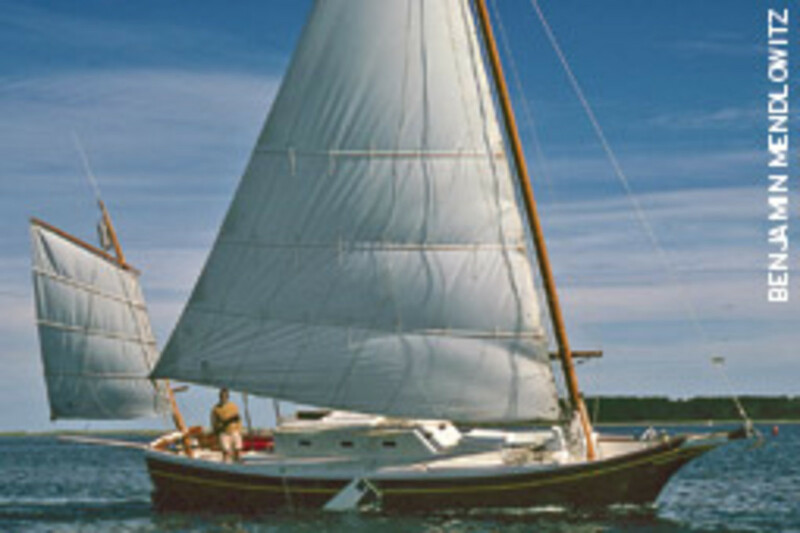 But Bolger also designed many eminently livable shallow-draft cruising sailboats, like the Dovekie, a comfortable 21-foot camp-cruising boat with a 4-inch draft with its leeboards up, and the shoal-draft AS 29, a liveaboard with twin swing keels, cat-yawl rig and enough living space inside that you’d think you were in a much bigger boat. 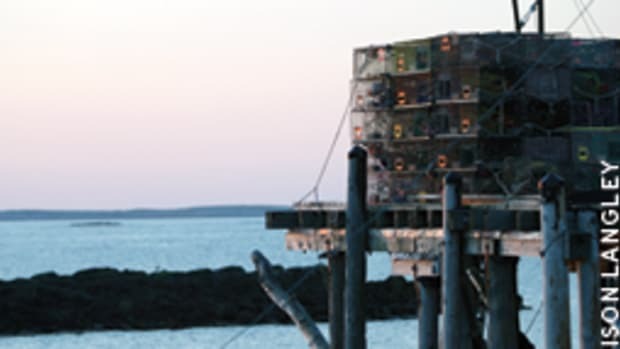 Indeed, one of the marks of his designs, besides seaworthiness and ease of construction, is that they are easy to live on. For many years, Bolger lived aboard the 48-foot Resolution, a round-bottom sharpie and liveaboard of his own design. “He was so versatile,” Payson says. “He never designed the same thing twice.” Every new design was an effort to improve on what had gone before it. Bolger’s grandfather, Thomas Patrick Bolger, was an inventor who patented a steel icebox and an ash sifter for coal furnaces, among other innovations. His mother’s family, the Cunninghams, were fishing folk who operated the early 20th century fishing schooners Arethusa and Ingomar. Bolger studied at Bowdoin College in Brunswick, Maine, for a year, then joined the Army and became a combat engineer. After World War II, he returned to Bowdoin, graduating in 1949 with a history degree. He landed his first design job as a draftsman for Lindsay Lord, a Falmouth Foreside, Maine, powerboat designer of the 1940s and ’50s and author of “The Naval Architecture of Planing Hulls.” Bolger went from Lord’s studio to the Detroit design office of John Hacker, the renowned powerboat designer, at a time when Hacker was working on a fast rescue boat for the Air Force. He also worked part time as a draftsman for L. Francis Herreshoff in the early 1950s — all great experiences with eminent designers. Gerr says probably 450 of Bolger’s designs were “odd to strange,” but he designed another 250 or so that were “normal, very conventional, very successful.” Though not his most memorable ones, they included fishing, lobster and pilot boats, cruisers, oceangoing kayaks, Whitehall boats, and Friendship sloops. Bolger had continued to work on projects with Altenburger right up to his death. 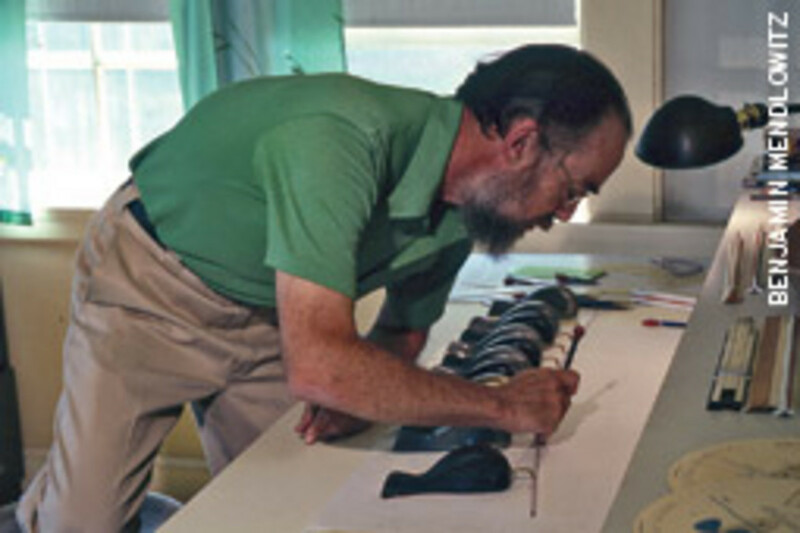 His recent projects included work on a new design for a military landing craft for the Naval Sea Systems Command in Washington, D.C., and development of less costly, more efficient commercial fishing boat designs with long, narrow, shallow hulls that would be economical to operate even with lower catch rates. Bolger was a prolific author. Among his books are “Small Boats” (1973), “Different Boats” (1980), “Thirty Odd Boats” (1982), and “103 Sailing Rigs ‘Straight Talk’ ” (1998). Gerr says the man, his out-of-the-box thinking and his persistent advocacy for cost-effective, easy-to-build boats will be sorely missed. “There’s not anyone quite like him,” he says.